The city of Dover has a long running history from pre-historic times. There are many fossilised findings from prehistoric times and a recorded history of pre-historic man, which runs into the Stone Age, Bronze Age and Iron Age. When looking into the period when Dover was ruled by the Saxons, which is from the 5th century onwards, it is a story of how the Germanic tribes crossed the North Sea to come and settle in Kent. There have been many major discoveries which have been made in the region of Dover corresponding to the time of the Saxons. One of this is the Anglo-Saxon cemetery at Buckland which was found in 1951 when constructing a housing estate. There were 170 graves which were found at the site and many of it contained weapons, jewellery and other objects which could be used daily like pottery, dishes, combs etc. Another discovery was made adjacent to this cemetery in 1994. 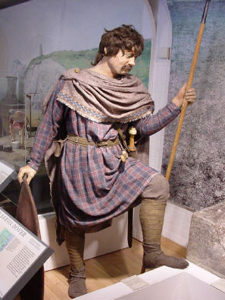 This made Buckland one of the largest Anglo-Saxon cemeteries in Britain. There have been other things which were discovered like timber buildings which were found in the centre of Dover. Along with this churches with castle walls were found. The St Mary in Castro is one such example which dates from the Saxon period. By the middle of the 10th century Dover was prosperous and well organised with its own mint and the city had many trading links as well. The Saxon period has a lot of surviving evidence and the Saxon church called Castle Hill made during the 10th century is one such example. The church which is found stands today as a much restored example of a Saxon church which dates from around 1000AD. The Saxon cemetery is also found which means that the church replaces an earlier building. The church has a unique structure which is cruciform in plan and it has an aisle less nave with a tower in the centre. It stands on a projecting plinth of plain square section which has been constructed mainly with large stone blocks. The walls of the church are mainly flint with stone and tile and the large windows have been made facing the tiles. Even today the arches which open east and west from the tower appear to be original in nature and it has a 28 feet strip work which is projecting tiles outlining the arches on the western faces. The church has seen a lot of reconstruction and modifications have been made during the English era and the times which followed. These structures give insight into the Saxon era of England and the church is still a place of worship.